Early March in the Mid-Atlantic region is ushering in Spring, but winter has other ideas and keeps rearing its ugly head. 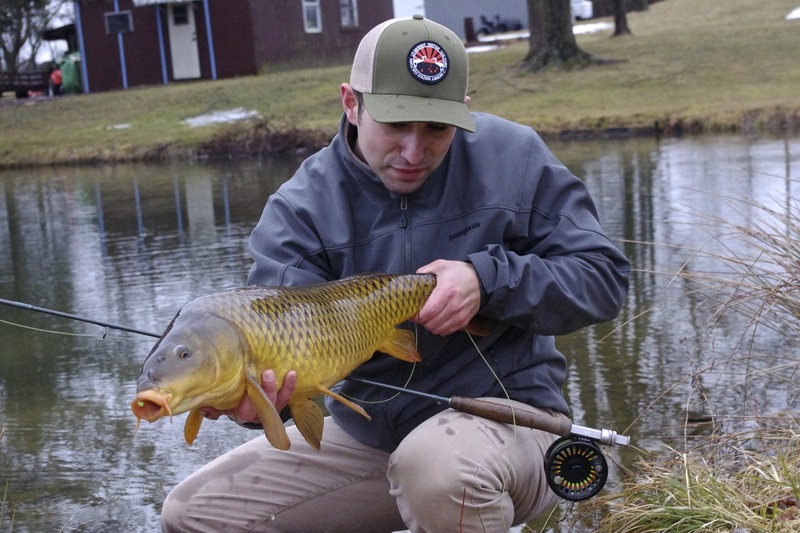 Days of t-shirt weather are interrupted by snow, wind, and ice which makes the fishing tough to predict, especially if your targeting carp. If your targeting trout, you can expect early black stones, midges, and BWOs depending on the day and the body of water your on. I spent my Saturday carping, and when I came home my sister approached me about taking her out trout fishing. Caught off guard, I willingly obliged to take her out in the near freezing temperatures the next afternoon. 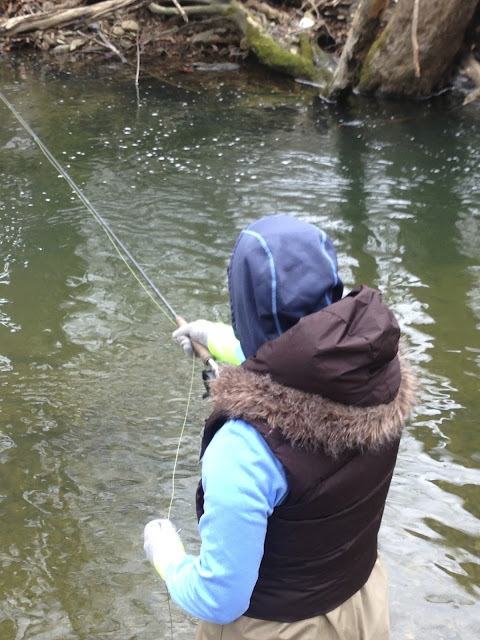 The outing ended up being my sister's second time out fly fishing for trout. I can vividly recall her first time on a the water and her first trout. It was a super tiny stream and she roll casted a hopper up into a riffle where a brook trout willingly crushed it. 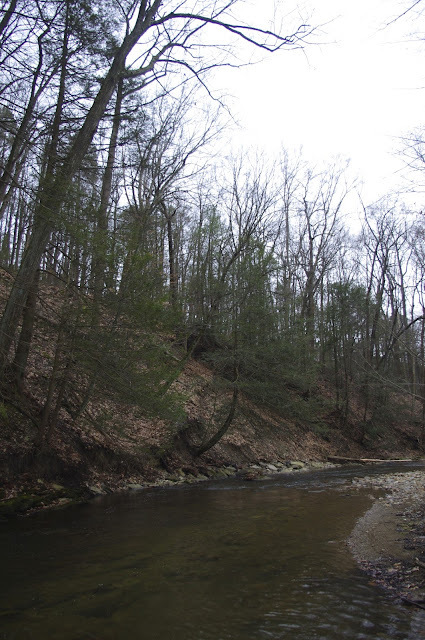 It was the first brook trout I had seen on that particular stream in over three years. The next time my sister went fly fishing was in the Caribbean. Both of us were experiencing the Caribbean for the first time and I left after one week without catching my first bonefish. When my brother told me that my sister, with her five hours of fly fishing experience caught a bonefish the day after I left, I was flabbergasted. How could that have happened? I remembered the random brook trout and just shook my head. Every now and then, she likes to remind me that she caught a bonefish on fly before I did. On this particular day, she was rusty. I guess that tends to happen when you wait three years between every fly fishing experience. 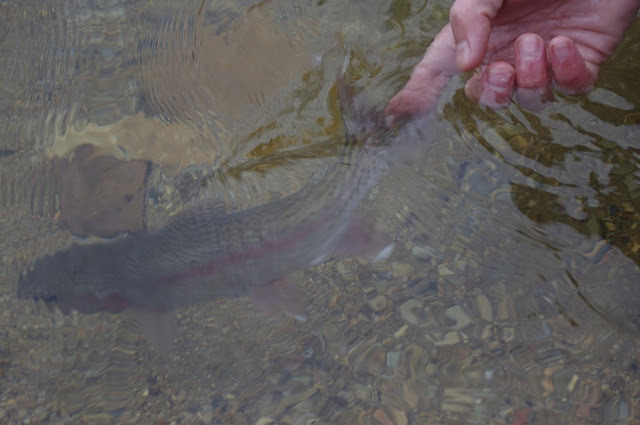 However, she quickly got into the swing of things and was hooking small wild browns and a few leftover stockers from the previous year. Her lack of line management and fish fighting experience caused her to lose almost all of the fish at our feet, but we didn't mind one bit. One rainbow finally came to hand before we walked back to the car. Along the way she expressed her interest in wanting to improve her fly fishing skills and get on the water more. Hopefully, it happens a little more frequently than once every three years. The weekend forecast called for a heavy dose of sunshine, light wind, and springtime temperatures to ring in daylight savings. With the nice weather, I actually considered heading to the local stream to catch some stocked trout. I'd probably lose count at some point in the day but that thought quickly escaped my mind. I realized that if I went trout fishing, there would be cars and fishermen in every pull off and parking lot along the stream. Around every bend upstream or downstream, I'd run into more. I'd still catch fish, but...well, I'd rather go carping. 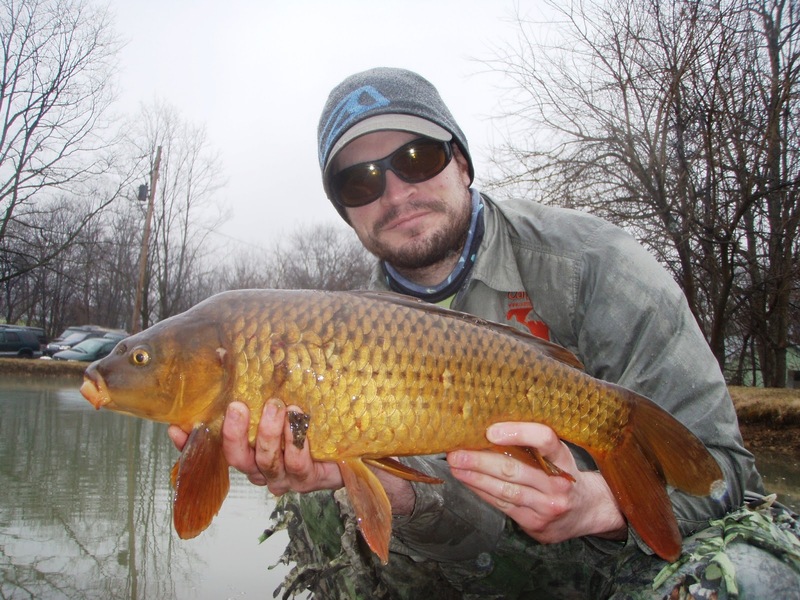 In five years of carping, I have never run into another fly fishermen carping (Adam doesn't count). Honest. With the heavy sunshine, I decided to scout out some new territory. I awoke Saturday, pulled up Google Maps (every carp fishermen's best friend) and chose several bodies of water to check out. I arrived on a dirt road for destination number one and was promptly rejected by dozens of no trespassing, beware of dogs, and I'll shoot you signs. The best bodies of water on google maps are usually private and you often have no way of knowing until you arrive. Destination two showed promise since it was located in a public park. 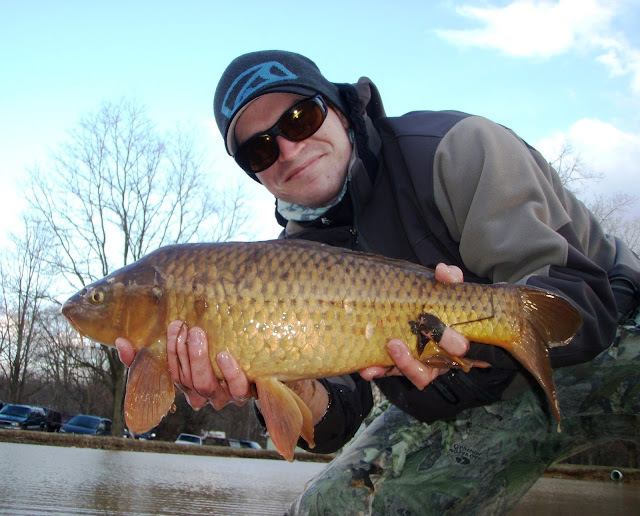 Public parks always seem to be the best spots for carp and are a virtual guarantee. 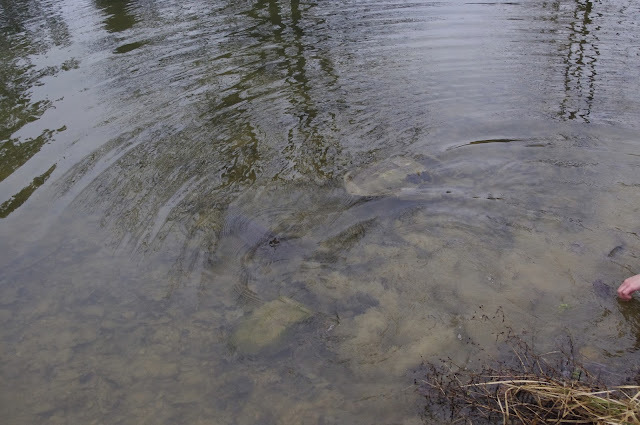 The major problem I faced, was finding out if I could actually fish the ponds with trout stocking occurring all throughout the month of March. After some searching, I found out I could, and preceded to check out the several bodies of water the park offered. This was my first choice for a good scouting and I immediately saw some residual mud plumes in one corner of the pond. I spent a good hour here and never made a single cast. 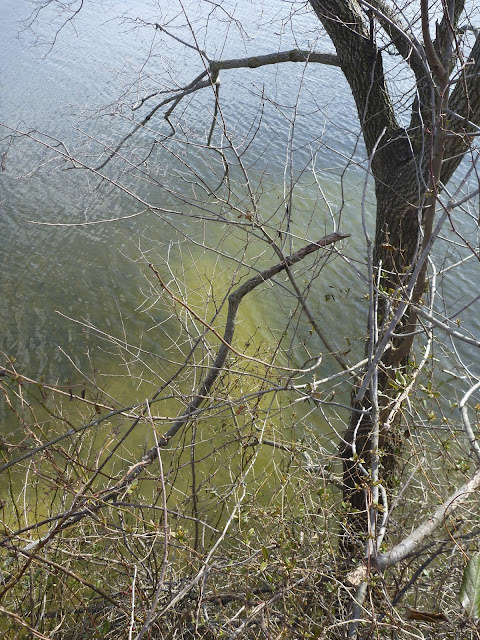 The mud plume activity was scant at best and I never saw the actual bodies of the fish. I didn't feel like throwing an indicator on so I saved this pond for another point in time when the water might clear and have visibility better than three inches. The big pond showed an incredible amount of promise but featured several immediate turnoffs. The first being that the water clarity was absolutely atrocious and the pond featured deep water immediately off the banks. Secondly, there were over one hundred Canadian geese and seagulls causing a raucous. Lastly, this is where all the trout go. 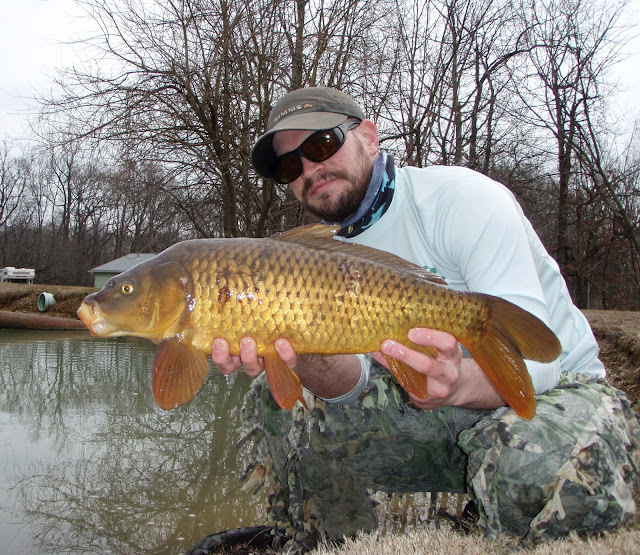 I did a thorough scouting of the perimeter and found several enticing areas where carp will definitely be in later months. Again, I decided to leave it be and wait for a later date. 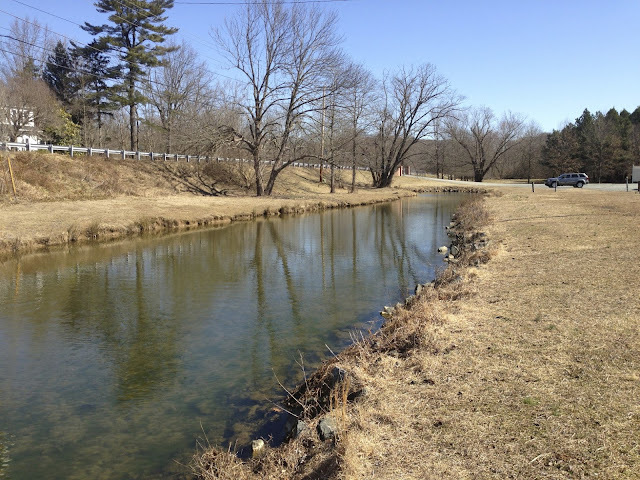 A small body of water fed a channel alongside the string of ponds that opened up in a short canal. This water was gin clear and really shallow. At the end of the stretch, it slowly got deeper until it reached a dam. At the end, I found what I was looking for. In the bright sunshine 20-30 carp were stacked up in the deeper water like a pod of freshly stocked trout. The deeper water didn't offer them much protection but they were conveniently located underneath overhanging branches. I was able to pick off two fish from the edge of the pod before leaving the rest for another date and time. My other day on the water exploring carp was not as gracious. 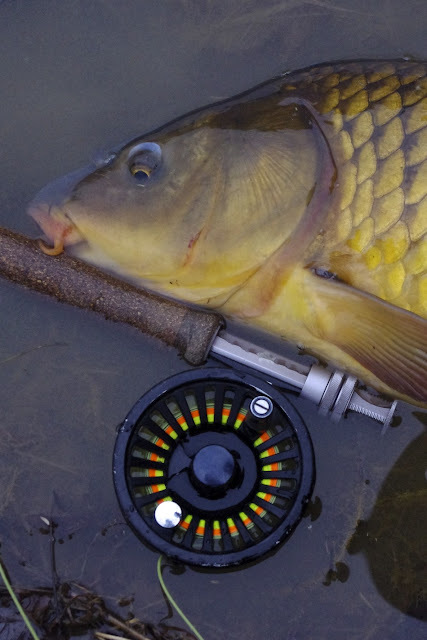 Six hours with the only carp spotted being deceased. This occurred on a fifty degree day at multiple destinations. That is carping in a nutshell. To ease the memory of the previous day's shutout, I headed to old reliable hoping to catch a few carp willing to come into the shallows to play. I spent three hours here with my only activity being this mud cloud, that despite my best efforts was proven not to be made by a carp. 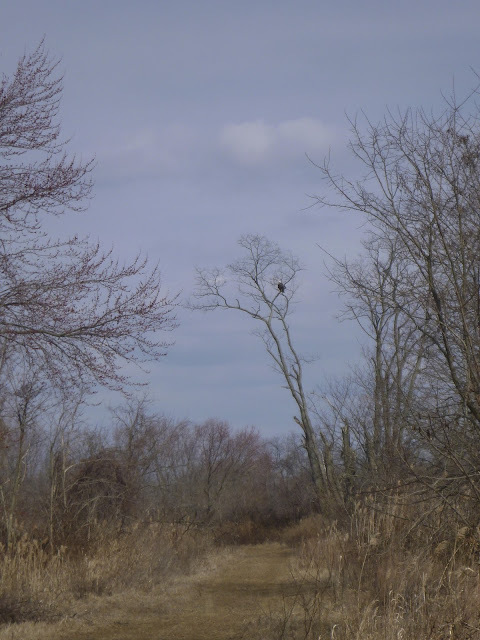 I blamed my misfortune on a pair of bald eagles patrolling the skies, no doubt discouraging any carp from revealing themselves in skinny water. Thwarted once again, I headed to one last spot hoping to wipe the day's misfortune off the books. As the sun began to descend and the park about to close, I scored one last fish to save myself from a skunking. 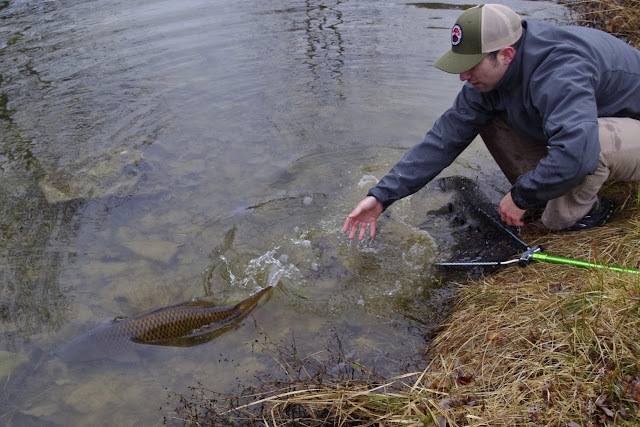 Carp exploration is not for the faint of heart and one might spend days or even weeks looking for a viable spot to fly fish for carp without ever finding one. Every once in awhile though, you will find a new body of water that just might become your new number one destination. It’s known that carp are extremely intelligent and are capable of learning quickly. Although I am a firm believer in this, one fish in particular has got me thinking... In exactly 40 days I caught the same fish three times. 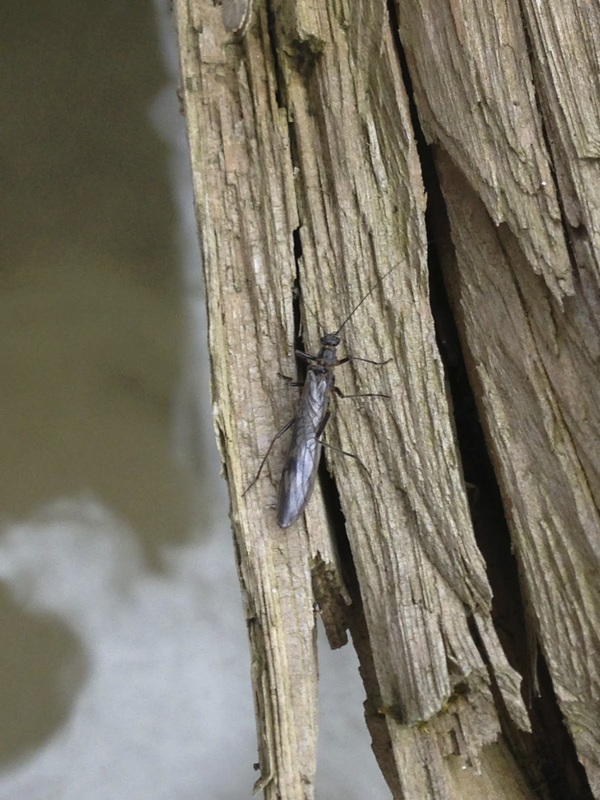 In its defense the water is very turbid and it fell for three different fly patterns. Above all a fish has to eat to survive. It’s still interesting to catch the same fish three months in a row. In a similar pond I've caught the same carp about a dozen times but spread out over the past 15 years, but never in back to back months. 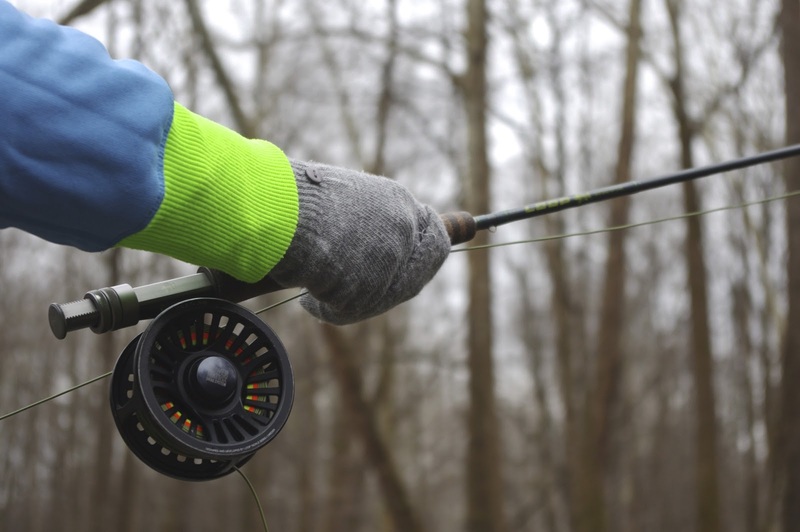 There comes a point in every fly fisherman's maturation when they naturally develop a sixth sense. This can found on the trout stream where a nymph fishermen senses the unseen to set the hook on a nice trout. It can also be found on a flowing river as an intruder settles deep into a swing. 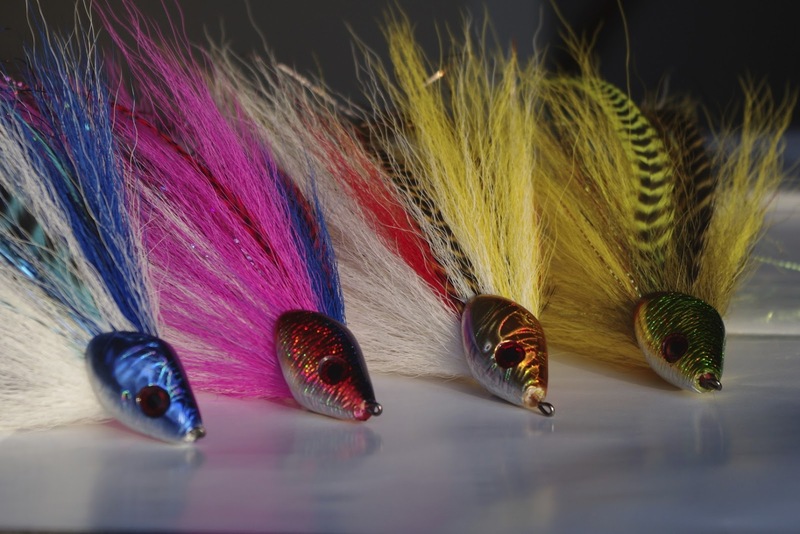 The fishermen is completely aware of the flies position beneath the water and senses every bump, twitch, and change in water dynamics while anticipating a strike from an eager fish. For a carp fishermen that relies heavily on vision to stalk, present, and watch a carp eat their fly, the sixth sense comes into play when the aforementioned scenario is impossible. You develop an uncanny feeling of knowing when to set the hook. In the carping game, the slow development of this sixth sense can make the difference between success and failure. When Adam gave me a phone call to fish some local ponds for the last two hours of light, I decided to give it a shot despite just getting home from Delaware. 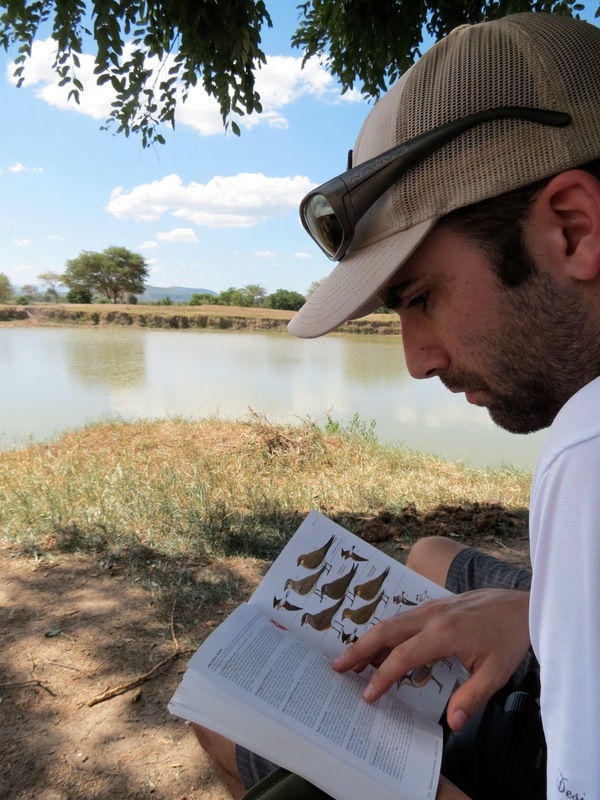 When we arrived, Adam told me that the hot color in the morning that got the fish's attention was chartreuse. In the cold, I tied on a small blood dotted chartreuse glo bug and headed to the clear pond that is home to some good sized fish. In the morning, Adam warned, there had been no action. With the pond still half covered in a layer of ice and a heavy overcast sky, I had zero expectations. As I rounded the first corner to check the most productive area, I could see the mud clouds emerging from the depths. The fish were active despite the temperature being in the thirties and my expectations suddenly went from nothing to full on, I am catching one of these guys. I settled in on an area where a channel catfish was hard at work digging into the embankment. This muddied the water severely, but I could make out the tell tale outlines of carp coming into the discolored areas from the deeper water. 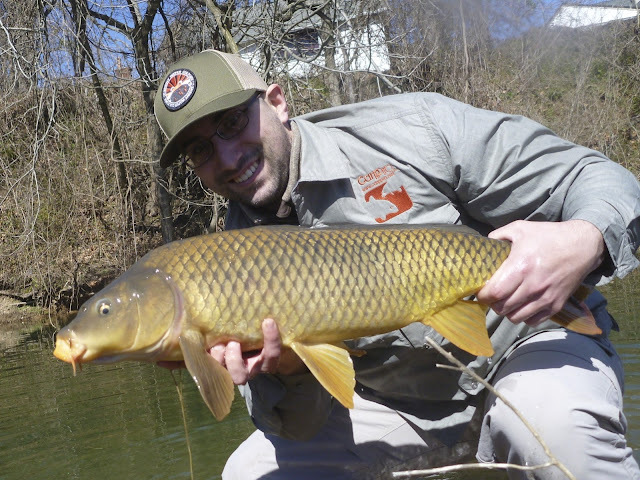 I blew my first two chances as I got carp blocked by an eager sunfish and later sent my fly into the trees. On the third chance, I spotted a nice fish cruising about three feet below the surface of the water. 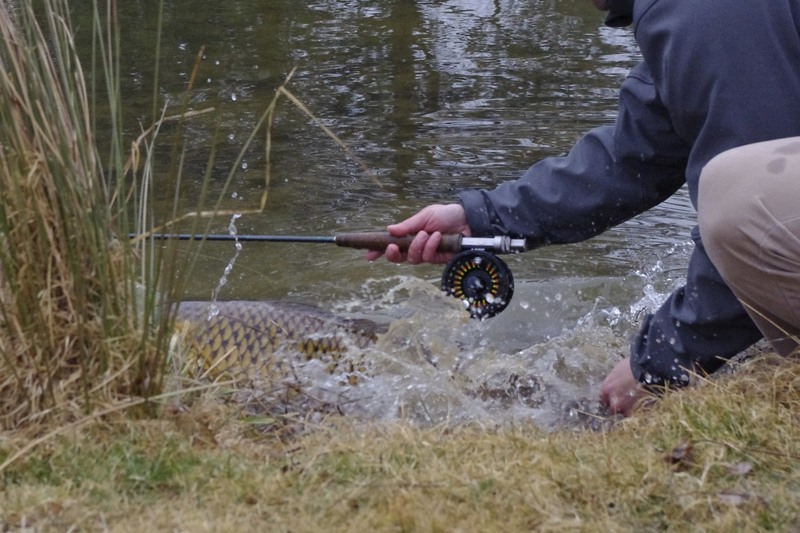 I presented the fly with a five foot lead and soon lost the size 14 egg in the abyss. With my sixth sense kicked in, I watched the fish making his way to my descending fly and patiently waited for any signs of a take. Maybe it was a minuscule change in the carps direction and body language, or maybe it was just the fish getting on top of the zone, but that feeling kicked in and I subconsciously found myself setting the hook on some February gold.